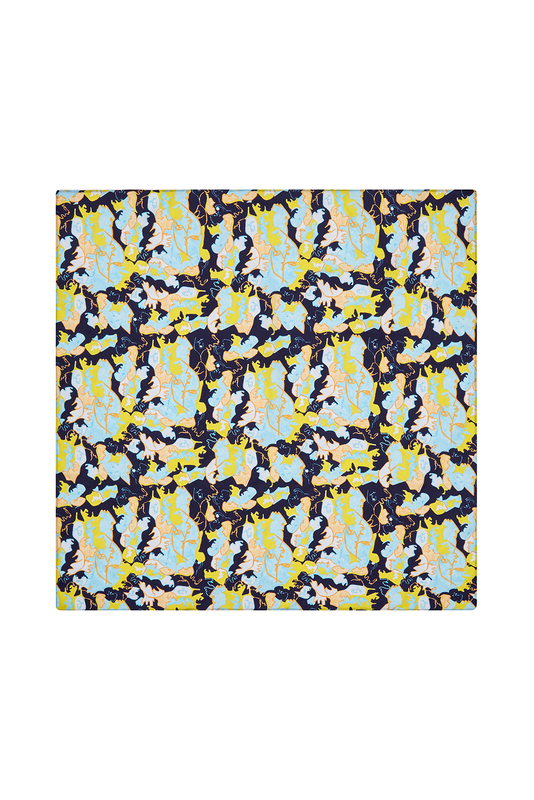 100% silk scarf with abstract faces in yellow/navy. 65cm x 65xm. 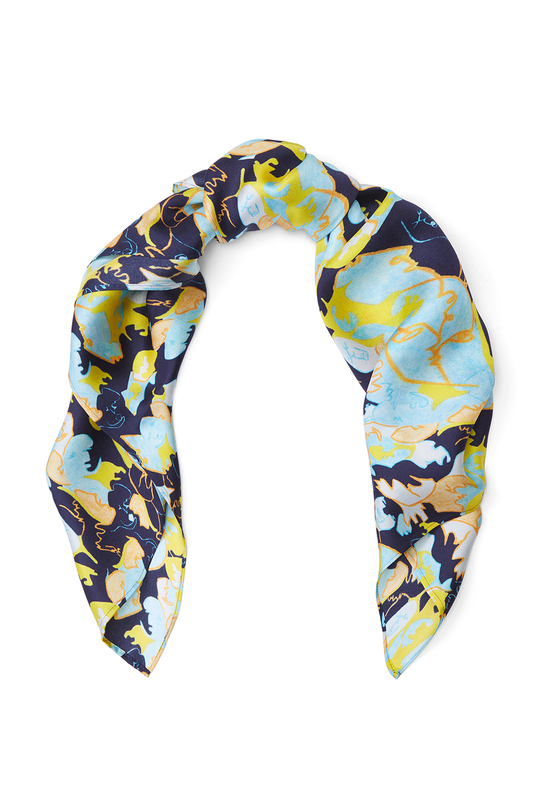 You can wear the scarf around the neck, the wrist or use it as a perfect addition to your bag by wrapping it around the handle. Made in the UK.